Be faithful to the Church's mission. The Catholic Foundation promotes planned and deferred giving for endowment funds that benefit Catholic parishes, schools, and other Catholic organizations. The Catholic Foundation also conducts the annual Bishop's Appeal to benefit the ministries and services of the Diocese of Green Bay. The focus of this team is to provide a strong culture of Catholic discipleship and academic excellence in the schools, as well as discipleship and catechesis in religious education, youth ministry, young adult ministry and campus ministry. This team will assist and empower parents in building homes of discipleship and active engagement in their parish and school, ministries and communities. Camp Tekakwitha is a year-round Catholic camp in Shawano, Wisconsin which serves people of all faiths through summer camp, school retreats, and a variety of group events. We welcome people of all ages to encounter Jesus Christ in an inclusive environment focused on deepening faith foundations, building long-lasting relationships, and experiencing new and exciting adventures through the ideals of the Catholic Church. Catholic Schools in the Diocese of Green Bay are a community of parents, teachers, administrators, clergy and religious with values rooted in the Catholic faith, all working together to provide our students with a strong foundation to become missionary disciples. We assist Catholic schools in the formation of spiritual, intellectual, emotional, physical and social lives. The schools, in turn, provide opportunities for students, families, faculty, staff and board members to grow in a commitment to be faithful disciples of Jesus Christ. By virtue of our Baptism every Catholic is called to proclaim the good news of God's reign through word and example. The Office of Marriage, Family Life, and Pro Life helps guide and direct the Diocese by fostering activities and projects that are consistent with Catholic teaching and assist Catholics in the domestic church. The Office of Youth Ministry at the Diocese of Green Bay desires to form youth and their parish leaders to Discover Jesus, Follow Jesus, Worship Jesus, and Share Jesus in response to an invitation from Bishop David Ricken to embark upon a journey into the new evangelization as missionary disciples. As Pope Francis says in the document Joy of the Gospel, “being a disciple means being constantly ready to bring the love of Jesus to others, and this can happen unexpectedly and in any place: on the street, in a city square, during work, on a journey." We encourage the formation of youth disciples through the variety of trips we offer, including Steubenville Youth Conferences, March for Life, and our local mission experiences of Love Begin Here. We also provide intentional discipleship training through our very own K.R.E.W.E. process for those teens looking to dive deeper in their faith and pass it on to their peers. Assisting parishes to become fully engaged through creating engaging Sunday experiences, RCIA, and Sacraments. Leading parish mission planning efforts. 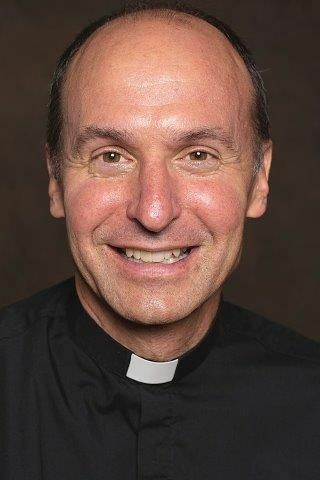 The Office of Divine Worship works to provide liturgical and catechumenal (RCIA) resources for parishes, formation opportunities, and overall support for the liturgical and sacramental life of the parishes and agencies of the Diocese in serving Bishop Ricken as the chief liturgist of the Diocese. The Office of Parish Evangelization seeks to accompany and equip parishes to evangelize people at every phase of the discipleship process of Discover Jesus, Follow Jesus, Worship Jesus and Share Jesus. With a special emphasis on the first two phases of discovering and following Jesus, the Office of Parish Evangelization offers support, training and resources to parishes on Alpha and Post-Alpha initiatives. This support also includes creating awareness on how seekers and newcomers can access a user-friendly onramp into parish life. This team has an operational focus to work cross- functionally as they support and implement the strategy with each of the Curia Teams and Parishes. The Mission Resource and Support Team is made up of each of the functional areas of the diocese and focus on developing and delivering best practices, shared knowledge and resources, and operational excellence as they work in partnership to elevate the mission, vision and values of the diocese. The Office of Administration coordinates organizational duties and oversees those who hold offices and minister in diocesan administration. The office is overseen by the vicar general and moderator of the curia, and the associate moderator, who exercise the bishop's ordinary executive power over the entire diocese. The Office of the Bishop provides support resources for the bishop as he shepherds the local church of the Diocese of Green Bay. The bishop is responsible for the spiritual direction of not only all Catholics, but the over one million souls residing within the diocese. The bishop governs the diocese as a portion of the universal Church. The Office of Canonical Services conducts legal governance of the diocese, in line with Church teaching, legislation, and the 1983 Code of Canon Law. Responsibilities include promoting and protecting the obligations, rights, and privileges of all Catholics in the diocese; advising the bishop on matters related to Church law and governance; ruling on matters concerning the sacrament of marriage; and serving as a resource for Catholics on matters of doctrine and morality. The Office of the Chancellor is responsible for ensuring that the acts of the curia are drawn up and dispatched for safekeeping in the archives. It is further responsible for maintaining diocesan documents and records, and for assisting parishes and diocesan agencies in canonical, liturgical and civil matters. The Office of Facilities and Properties assists the bishop in ensuring that the stewardship of all properties, physical plant and other tangible assets of the diocese are effectively administered. The office provides a variety of materials to help parishes, schools, and cemeteries practice good stewardship in the care of their properties and physical plant. The Office of Finance and Accounting is responsible for managing the temporal resources of the diocese. This includes administering all the diocesan investments, as well as the operating and capital budgets for diocesan administration. The Office of Human Resources supports the diocese by promoting a work environment characterized by fair treatment of employees, open communications, personal accountability, trust and mutual respect. The office provides solutions to workplace issues that support and optimize the vision, mission and values of the diocese through the administration of personnel programs and policies, and applicable federal and state laws. The Office of Information Technology provides support and development for technology infrastructure needs within the diocese. The office facilitates computer and network troubleshooting needs; cost effective solutions for hardware, software and network improvements; training and support in the adoption and implementation of new technologies. The Office of Marriage Tribunal is a church court that examines petitions from parties looking to have their marriage declared null and void. The office ministers to divorced men and women, both Catholics and non-Catholics, who are looking to marry in the Church.